Hui Mālama i ke Ala ʻŪlili is a grassroots community organization that is sustained by the abundance of our community - the networks of relationships that we share with each other, with our akua, with our ʻāina, and with our kūpuna. 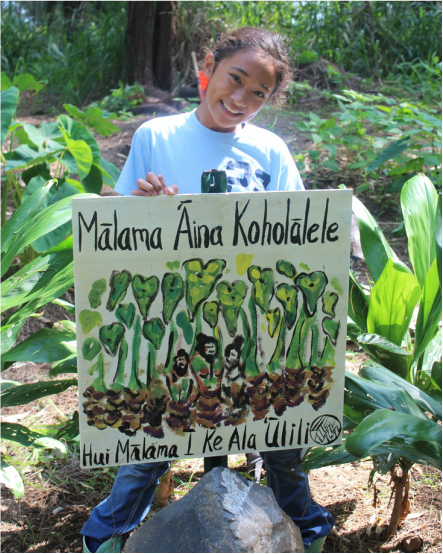 Your donation to huiMAU is an investment in the future of Hāmākua and Hawaiʻi. It is an investment in the re-establishment of the systems that sustain our community, the cultivation of abundance, the regeneration of responsibilities, and the collective health and well-being of our ʻāina and people. Gifts of any size, shape, or form are welcome and greatly appreciated as we work to grow huiMAU's programs and initiatives. Feel free to Contact Us for more information on the different ways in which you can contribute to this movement. Hui Mālama i ke Ala ʻŪlili is a 501(c)(3) tax-exempt non-profit organization. ​Your donations will be fully tax deductible. Mahalo nui for your support and contribution! Make a secure donation online here via PayPal.